Not gonna lie. The minifigure lines picked up from Gentle Giant make me a tad nervous. Haven't seen those. Are they articulated? There's very little Minimate presence. Those Godzilla Vinimates would be cool if they were articulated. They almost look like they are, but I know Vinimates are notorious for that. On an unrelated note, ROBBY! Two waves of Marvel, a set of Bruce Lee, a set of John Wick, two waves of Kingdom Hearts... I think that's a lot. There's more we couldn't show. Not sure if the Godzilla heads turn, most non-DC Vinimates have articulated heads, but these are prototypes. The $80 statues based on Scottie Young art? Not a MM competitor by a stretch. Not sure which else you mean. Destoroyah - Being to blame for Godzilla's first demise to another monster, he would be an amazing figure and a powerful looking addition to the collection. I would want Biollante to be involved but I can't imagine her as a Minimate. 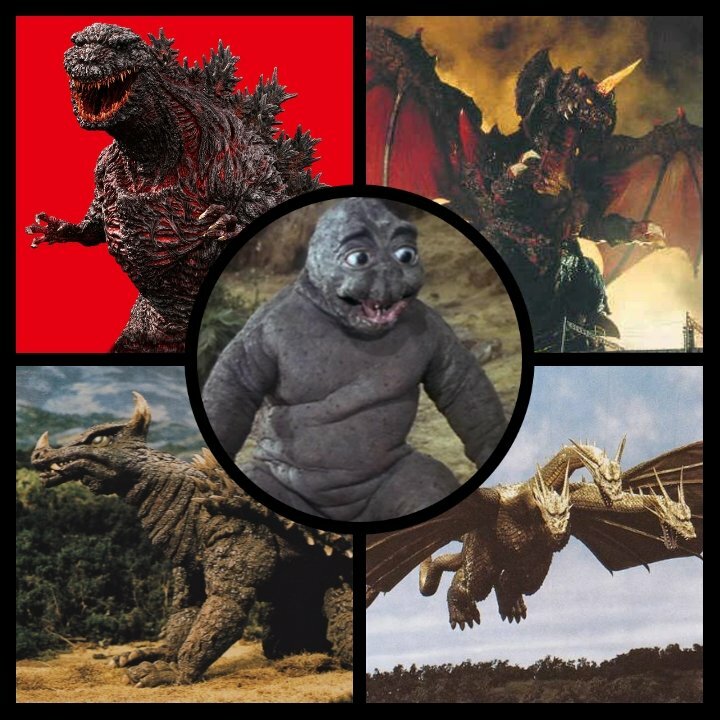 Shin Gojira - an absolutely bizarre rebirth of Toho's franchise, a figure of one, or maybe parts to make all, of his forms would be an awesome and unique addition to the series. To top it all off...a Rocket Raccoon-like tiny figure of Minilla! Honestly can’t think of any Kaiju more deserving than those three except maybe getting a Kong in the place of Destoroyah or Shin as Kong and Ghidorah are solid set anchors without Godzilla in it. But Shin really is a genius variant idea for Godzilla. New head sculpt but you could probably honestly get away with repainting the original Godzilla body. Throw in a nice purple fire blast and you’ve got yourself a neat little figure. I have not seen any at the show or elsewhere. I noticed them in the latest email from TOYCHESTnews. Here's Deadpool. I don't consider the PVC mini statues a competitor for Minimates. 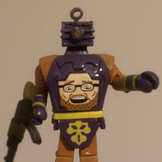 I have the Thanos on its way to me and a comparison with Minimates never crossed my mind. Just my opinion. Any chance at more Godzilla minis is great news. Ultraman next please! The mini-statues are a slightly higher price point and probably enjoy a bigger margin than Minimates. I'm just looking at what Gentle Giant Studios has to offer and wondering, as with any acquisition where there's the perception of duplication, what's staying and what's going. To end consumers they're different products. To retailers who don't have to stock both, one may be more lucrative. To DST... who knows? I can't wait for the Godzilla Vinimate! I'll probably pick them up, but I am curious why Mecha Godzilla looks so on point and both Godzillas look odd in the head area. It was the same issue I had with the Minimates. Godzilla just looked strange.